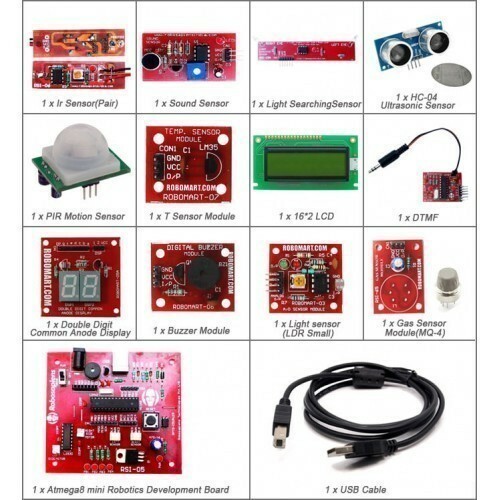 This kit is designed to get you started quickly and easily on your path of learning electronics. Once you've received your starter pack you can start to play with little or no electronics and programming experience with AVR ATMEGA 8 microcontroller. 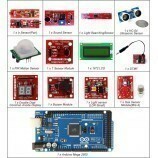 The advanced kit has more components and sensors you need to play compared with the Starter Kit. 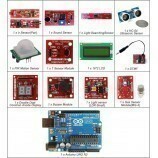 Light Searching Sensor based projects. 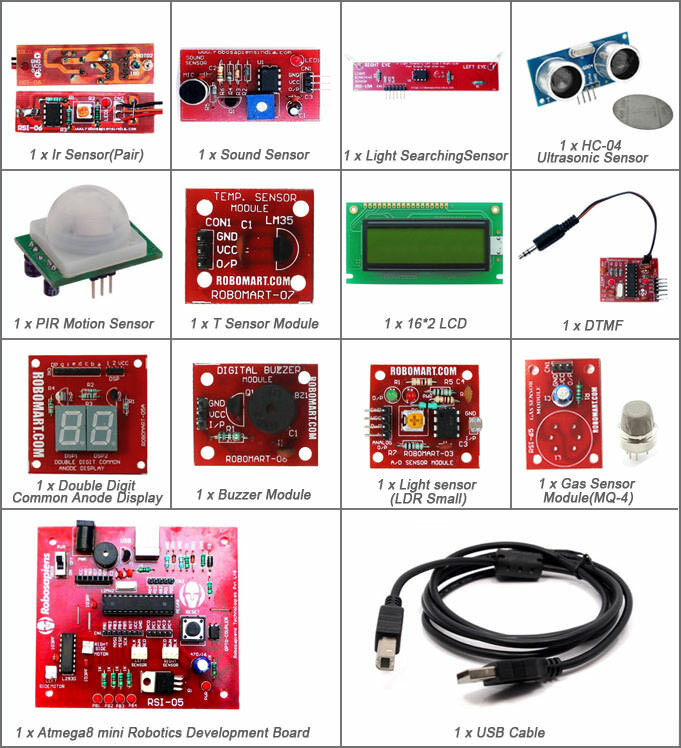 HC-04 Ultrasonic Sensor based projects. PIR Motion Sensor based projects. Double Digit Common Anode Display based projects. 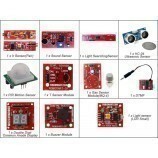 Light sensor (LDR Small) based projects. Gas Sensor Module (MQ-6) based projects. Also Searched as:All sensor kit modules.